Margaret Thatcher requested a visit to the Aspen Center for Physics when meeting with President George Bush in Aspen. On August 4, 1990, she came to our campus for short presentations and tea. The ACP Board comprised of physicists and community members sets policy for the Center. 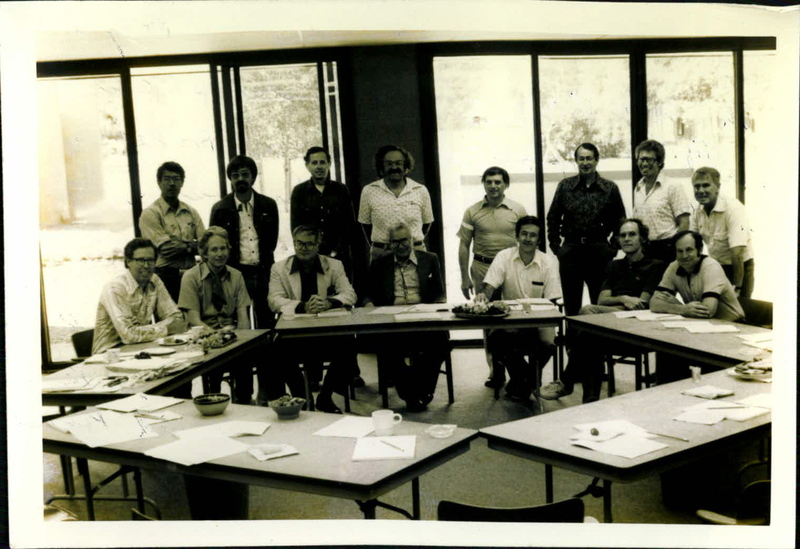 Standing from left in this 1978 Board photo are: George Stranahan, Mike Simmons, Jon Rosner, Sydney Meshkov, Dan Fivel, Joe Slater, Gary Steigman, Peter Kaus. 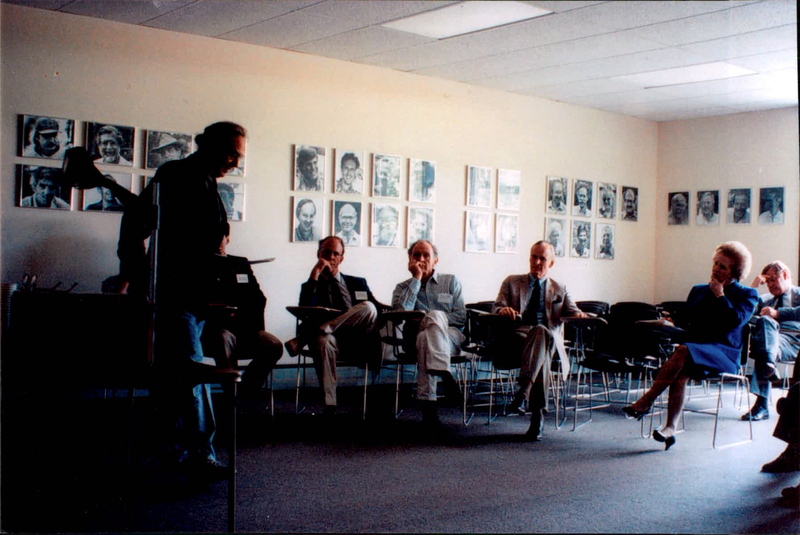 Seated from left are Randy Durand, Heinz Pagels, Peter Carruthers, Murray Gell-Mann, Paul Fishbane, Elihu Abrahams and David Pines. 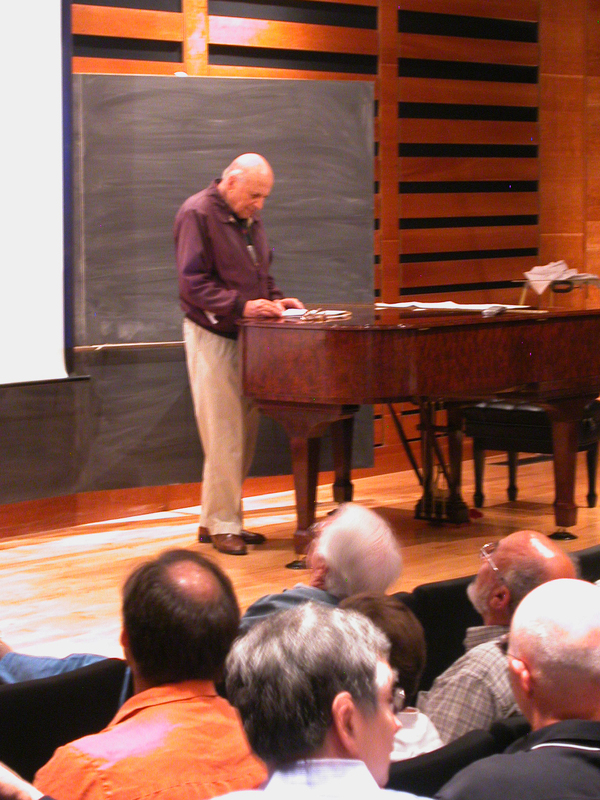 The Aspen Center for Physics has hosted special events. In 2006, the Energy Forum, organized by Andrei Ruckenstein, Andy Cohen and Tom Appelquist, brought together energy executives, scientists and government employees to collaborate on energy issues. 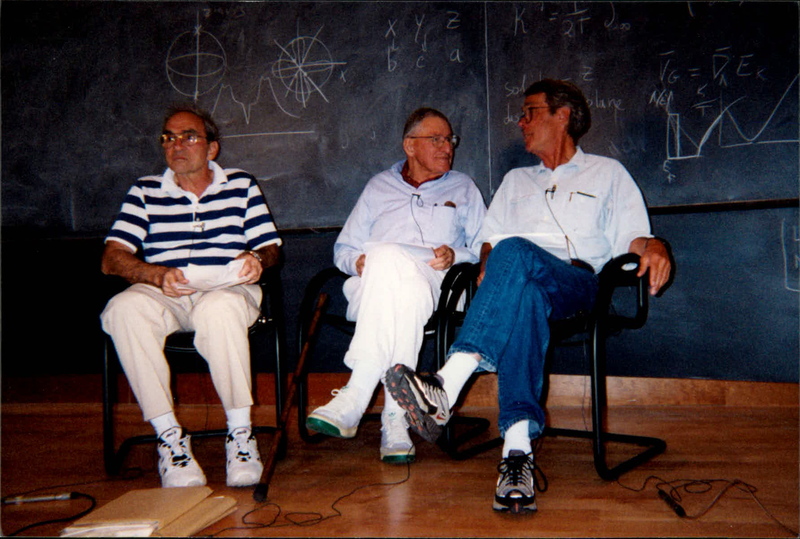 From far left, ACP honorary Board Member Bill Frazer, Nobel Laureate Sheldon Glashow, Robert Socolow and Arnold Glick. 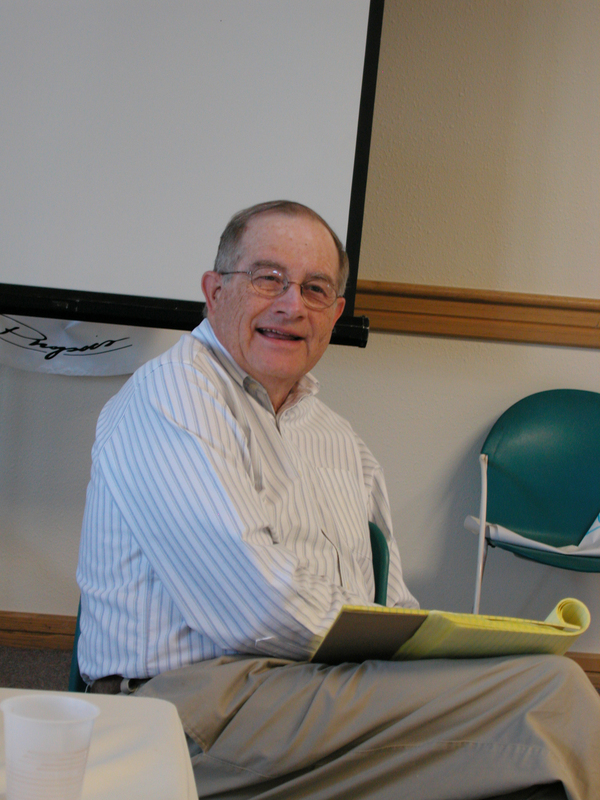 Walter Kohn, Nobel Laureate in Chemistry, attended the 2006 Energy Forum. 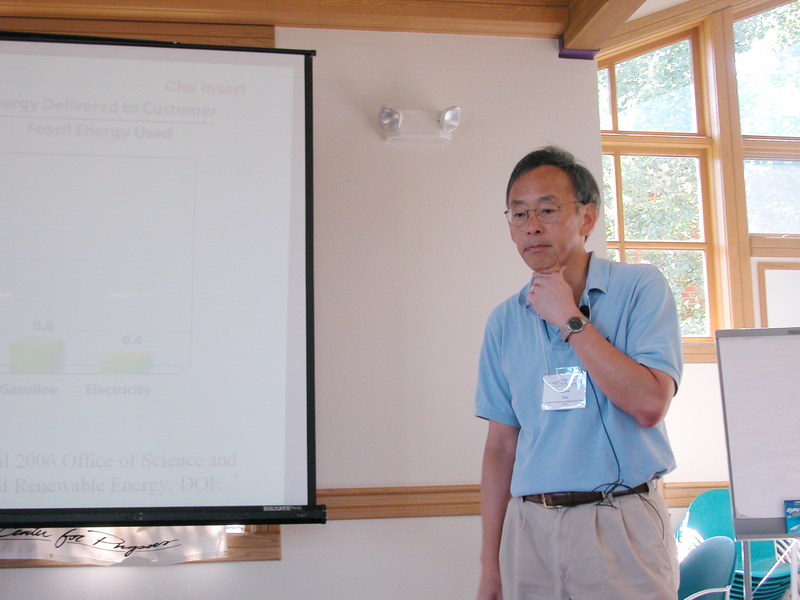 Nobel Laureate, Steven Chu attended the 2006 Energy Forum. 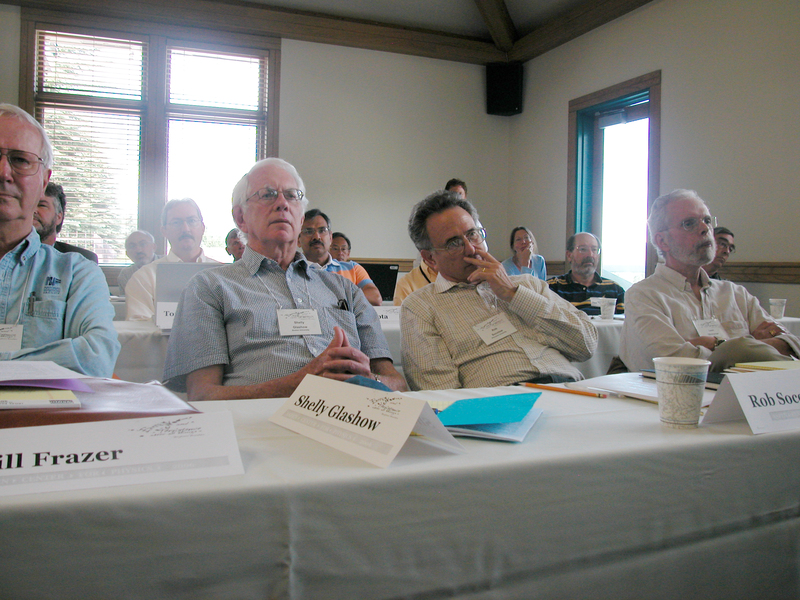 He also attended two biophysics winter conferences at the Aspen Center for Physics. He gave a 2003 public lecture at Aspen's Wheeler Opera House that broke our attendance record with over 500 people attending to hear the physics talk he had previously given to the Dalai Lama. Neal Lane attended the 2006 Energy Forum and gave a 2005 Aspen public lecture titled “Threats to the Future of US Science & Technology.” He headed the National Science Foundation for five years in the 1990s and served as Science Advisor to President Clinton.